Of all the websites in all the worldwide web, you chose to visit mine. I sincerely appreciate it. Take your time. Enjoy yourself. Explore my books. Enter a contest. Drop me a note. Take away some new ideas. 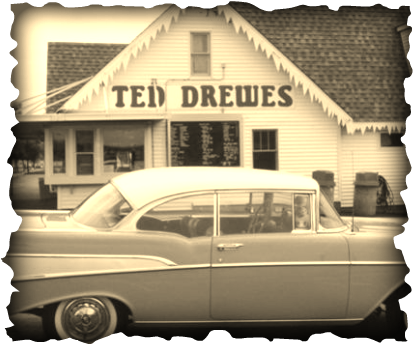 I wish I could offer the beverage of your choice or an indulgent selection from the famous Ted Drewes, a Route 66 tradition. Instead, I will rely on you to supply your own. Whatever, when you go, please come back soon or visit me on Facebook, Pinterest or Twitter. I've always believed the Blarney Stone is in Ireland for good reason and I thank my strong Irish heritage for my own story-telling abilities. My first two books, Golden Heart winner TUG OF WAR, and HAUNTS OF THE HEART, a WisRWA reader's choice winner, are in the collection of the State Historical Society Library in Columbia, Missouri. 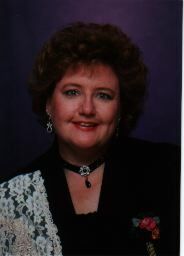 LISTEN WITH YOUR HEART was a Dessert Breeze Publishing launch title and Windy City Choice finalist. It and WEST oF HEAVEN are now available in print. CAST A PALE SHADOW was awarded an EPIC award. WEST OF HEAVEN, and TALK OF THE TOWN are also available in eBook Now complete: The Spirit Trilogy: HAUNTS OF THE HEART followed by WILLING SPIRITS, and SPIRITS' REST. 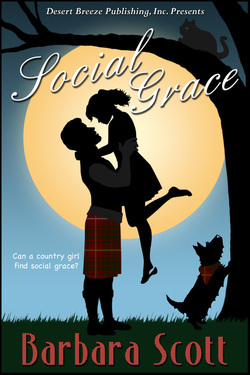 CAST A PALE SHADOW and SOCIAL GRACE, a companion romantic comedy to TALK OF THE TOWN are also awaiting your read. Before retiring from special education, I found teaching and writing to be compatible careers. But there were days when both students and characters refused to cooperate. Now I can pursue my dream as a fulltime writer as long as I can avoid distraction and procrastination! WIN: an autographed print copy of Listen with Your Heart or West of Heaven. See Contest Page for details. Sorry, US residents only. Your information will not be shared with any other sites or indivuals.